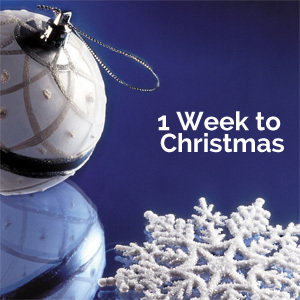 It’s just 1 week to Christmas, and we’ve got no doubt you will be busy wrapping those presents, defrosting the turkey and throwing parties for family and friends. Don’t forget to Kegel exercise though – it’s just 20 minutes per day, and those 20 minutes will make a huge difference. How about, once you’ve finished entertaining all of those family and friends, taking 20 minutes before you go to sleep, watching TV or reading a book in bed whilst using your Kegel8 while you wind down. If you have been following our 12 weeks to Christmas countdown with Kegel8, you will have been exercising for 11 weeks now and there’s just one more week to go until your 12 week plan is done. All that is left for us to say is congratulations for completing your 12 weeks exercise and enjoy your new, strong and healthy pelvic floor! Merry Christmas and Happy New Year from all at Kegel8.